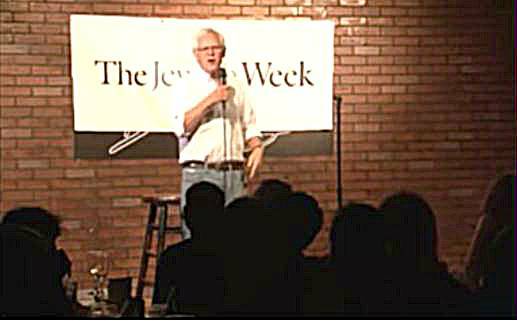 Rabbi Bob Alper, one of our favorite standup comedians, was the headliner at the finals of The Jewish Week's annual Best Comedian competition at the Broadway Comedy Club in June. He gave us a copy of his standup routine and we're happy to share it with you in segments. In this first segment he talks about how he became an adviser to presidential candidate George H.W. Bush at an encounter in New England, and comments on what constitutes a real Jewish accent.